Jim got one of these the other day so I just had to have one. I understand this cup is Crown Lynn's first non-industrial shape. Mine is 1966 and the saucer is 1981 (and the saucer is navy) so obviously they are not a matched pair, but they fit. I saw no 4-digit number for the cup. I presume the cup is a 700 and the saucer is 4635. 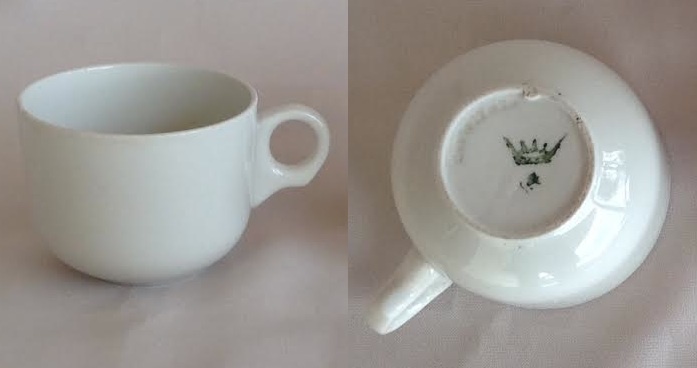 I gather this is the same shape as the NZR cup and saucer. 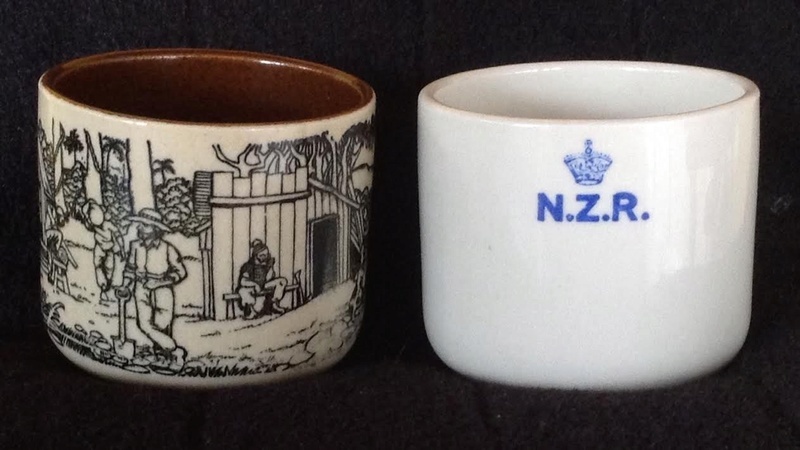 Dad had an NZR cup and saucer but my brother has his railway things. I'll see if I can get that from him one day. Til then this will suffice. Re: "Insulator cup": what is this? so I would guess it is the latter? Heheheh, so did they just bung a handle on an insulator and call it a cup? Not so easy I think, guys. They are same height and footring size but the insulator cup is 3-4mm wider across the top. Insulator cup has no stamp, but an impressed NEW ZEALAND which probably makes it the four digit 3611, especially as there is no three digit number for it! 3638 for the cup then, thanks Ev. I guess a 1966 production date makes it the four digit shape rather than the three digit 700. This one has no impressed mark, just the stamp as can be seen above. 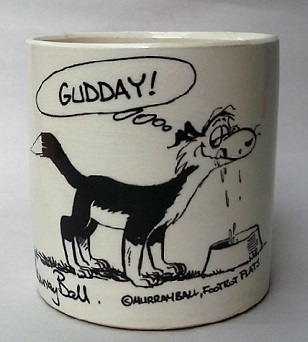 Dad, a "traniac", believed (incorrectly) that the insulator cup was an early railway mug. He was wrong, but close. I'm glad he thought to acquire one though. 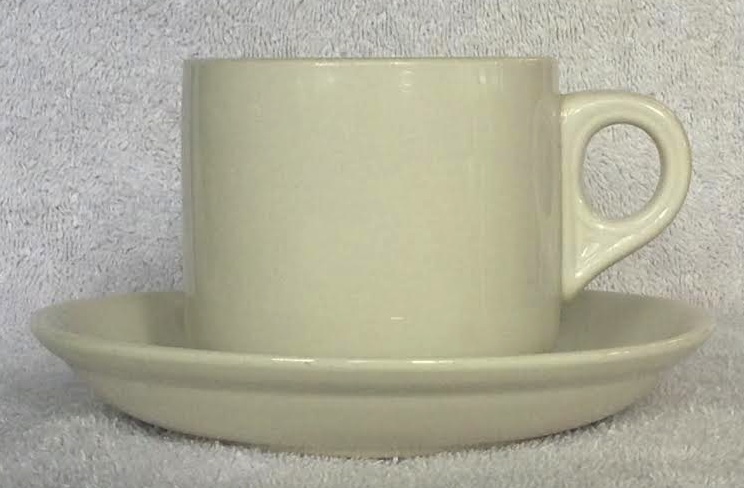 The NZ Ceramics mag of July 1964 (crown Lynn publication) tells us that from 1964 the porcelain department made a slightly larger version of the railway cup, with no handle, which was used as a protective cap for electrical fittings on power poles. I have two. One has an impressed New Zealand on the base, the other has electrical specifications. We had some of these on the power pole outside our hose when we lived in the old suburb of Beach Haven in Auckland. And that was only four years ago. There is a pic on pg 130 of my new book. Can the 3638 go in the gallery? I see from the descriptions that the 700 cup , in earthenware, became the 3058. That's another one to look out for. Anyway. Here is a pic of mine - it has electrical mumbo-jumbo on the base. There is a lot more work to be done here and I'm not up to it right now. Kat took me to Jim's place to see his new teapot and I took my 700/3638 along. He has a ton of these in various sizes. I took photos of each (including bases) but one pic will have to suffice for now. 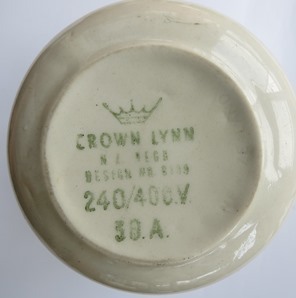 All but the earthenware have Crown Lynn marks. The middle cup (3) is my one but Jim also has this size. Revelations. The two insulator cups with different markings are also different sizes. the larger one (impressed NEW ZEALAND) is about the size of the larger vitrified (4). At this point I'm thinking 3 is actually a 700 and 4 is the 3638. That may change. I know this shape is famous as the NZR cup shape. I'm curious to know about sizes on the NZRs. Trademe sellers of these generally don't bother giving measurements. Thank you too Jim for giving me one of the slightly larger (4) ones. 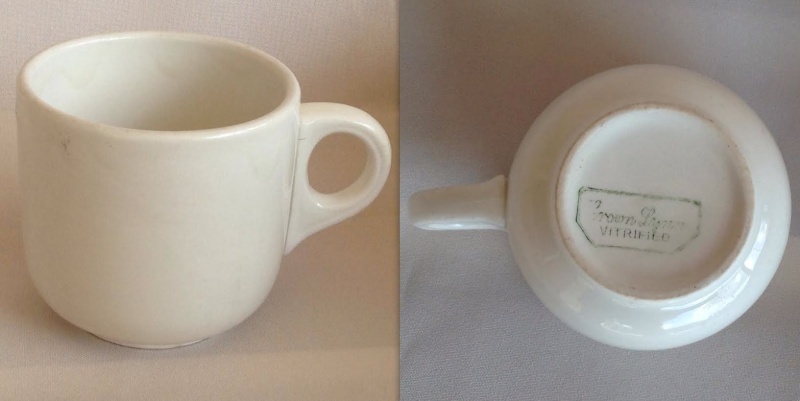 I've added photos of Jim's cups. The "middle-sized" one is mine taken from pics at the start of the topic. I have added some measurements now! 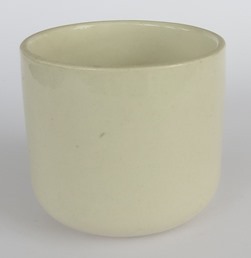 large earthenware cup or mug huge! Not sure what to do about the Railway cups that we have in the Gallery, but will leave it for now until we can clarify things. This is effectively the same size as the medium, above. There appears to be a number stamp but I can't read it. 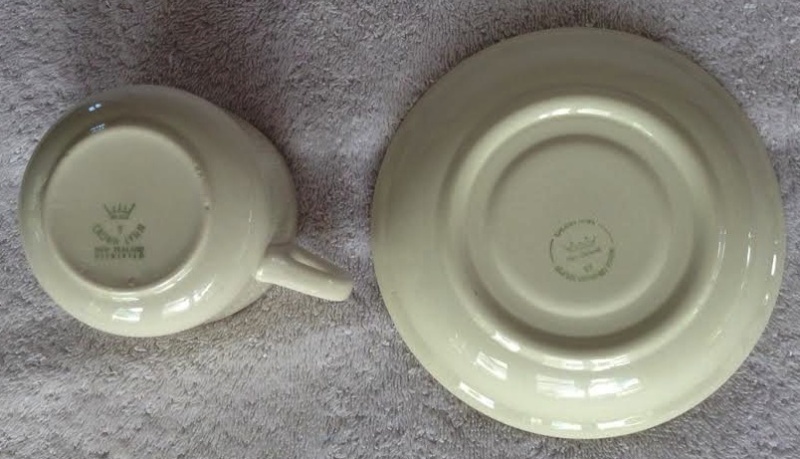 The montage starts with an Ambrico earthenware "700" shape (photo by gloworm), then, I'm still thinking my NZR Restrooms 10 cup may be Ambrico or CL vitrified. I haven't received the Solarc cup yet but anticipate a 48-55 vitrified stamp. It has the same handle as a Carlton cup. I think there were E/W ones with this handle too. 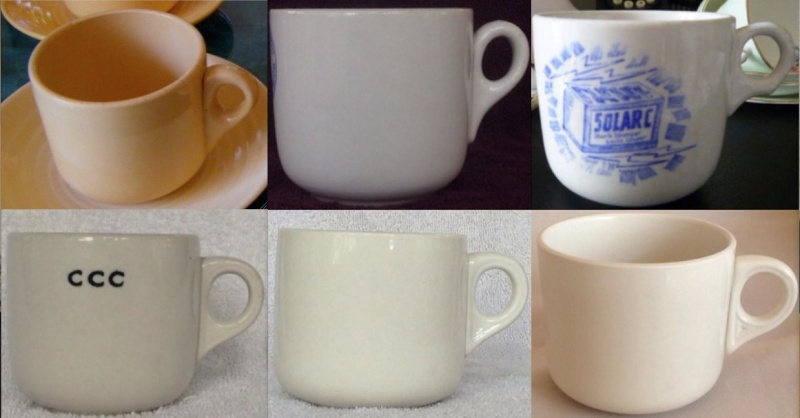 The bottom row has three variations on the standard cup and handle: 48-55, then pre- and post-mid-60s. 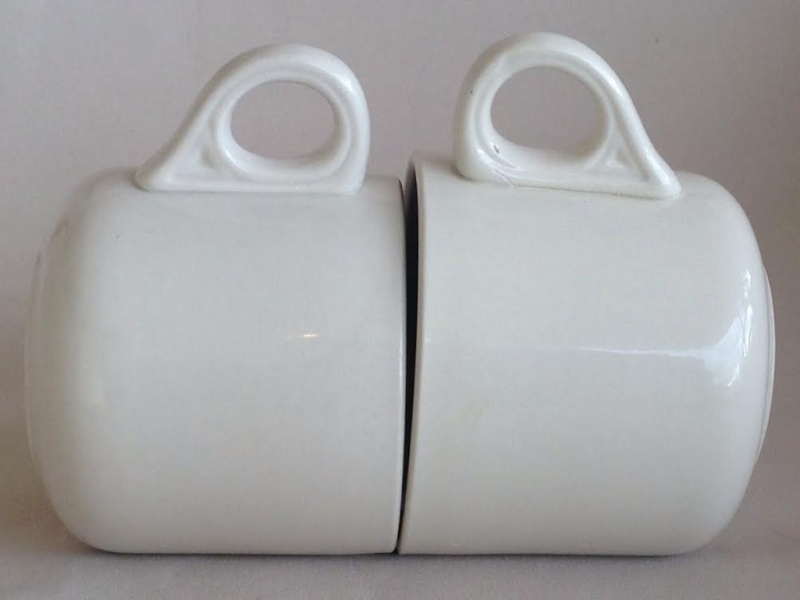 I finally got around to comparing the Solarc cup (Carlton cup handle) with the "small 700" and found that they are effectively the same body shape with a different handle. A minor footring modification reduced the height by 1mm or so but the diameters are the same. From the base stamps seen so far (48-55 vs 55-65) it looks as though the Solarc shape replaced the "small 700" shape. Another with more electrical mumbo jumbo....Aust. Design? I wonder if its any different to the one above that says NZ design..
Ps ..backstamps aren't in gallery. 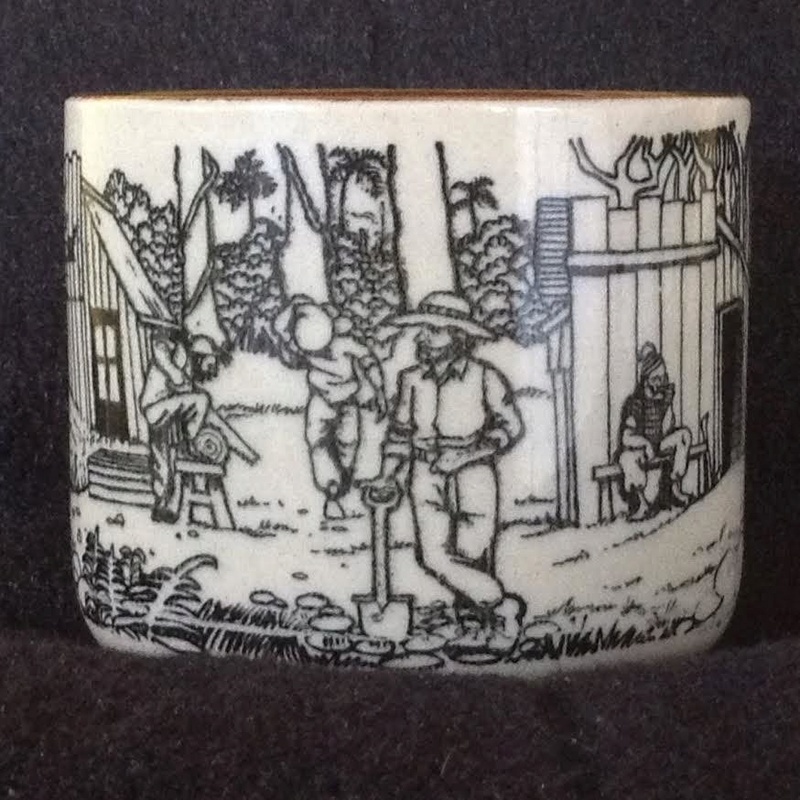 Three different insulator cup backstamps from Jim's collection. 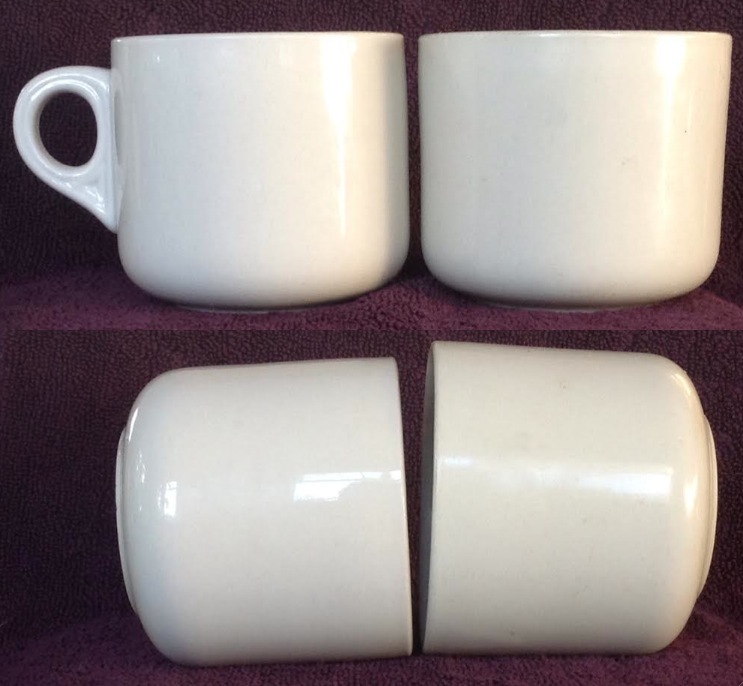 All cups are the same size, early 1960s rather than slightly larger late 1960s. Sorry about picture quality: I was a bit rushed. I couldn't resist this trademe buy. 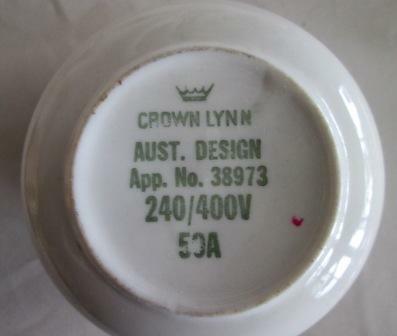 This is the smaller insulator cup shape with impressed New Zealand mark, dating from 1962-1966, and thus it is the same size as a 1950s to 1960s railway cup. Whyever has someone decorated this insulator cup in this way? Is it a drinking vessel? A plant pot? These have always fascinated me and I've seen many listed over the years, but haven't been prepared to pay the price. They get referred to as Kauri milling men and other similar types from days gone by. I've never found any reference to these in the records, but feel that there will be a pattern name.